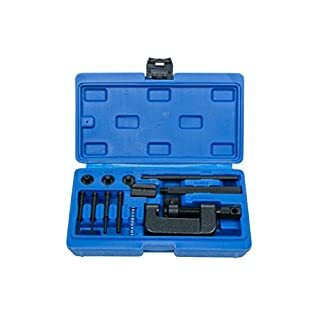 Contents: main press body, clamp and pressure screw handle. 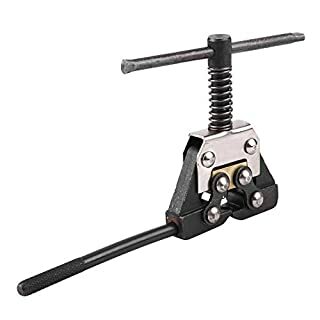 sliding tee bar two press plates two press anvils 2.2, 2.9 and 3.8mm press pins rivet tip spreader upper and lower guides for 2.2 mm press pin spring for press pins please note: to successfully press the rivet from heavy duty 520 drive chains, the rivet head must be ground off first. 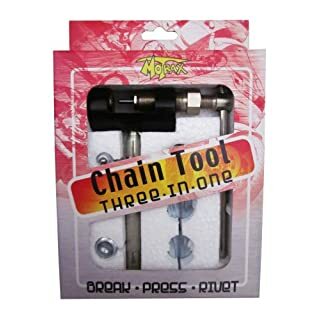 A top quality British made tool, which makes changing your motorcycle chain a quick and effortless task. 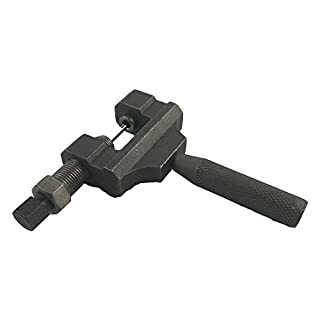 This tool will last for very many years. 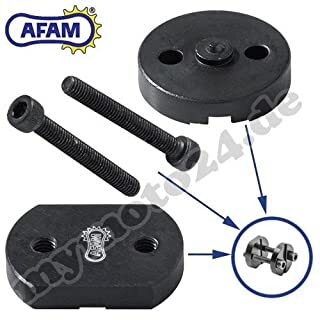 Any replacement parts that may be required in the future are readily available. 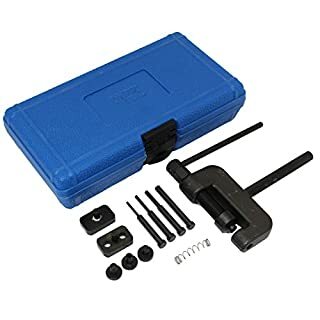 Professional Quality Chain Breaking / Riveting Tool. 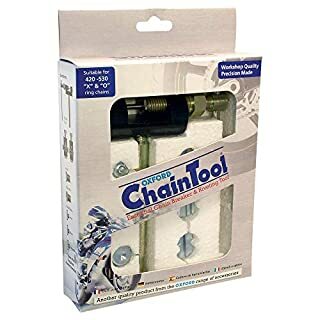 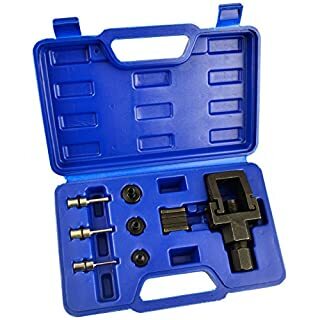 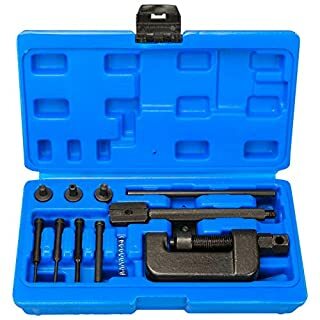 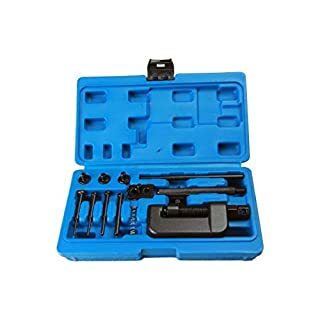 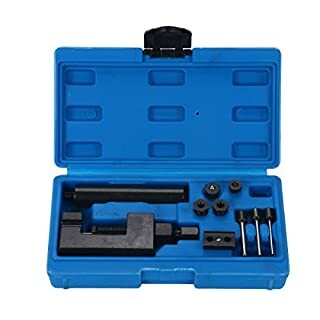 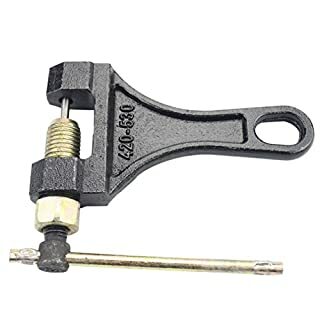 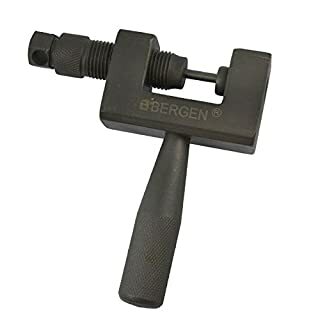 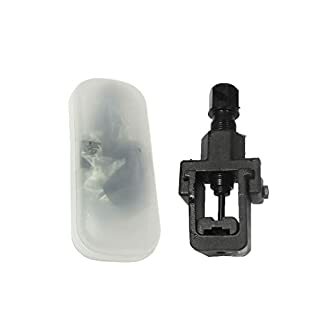 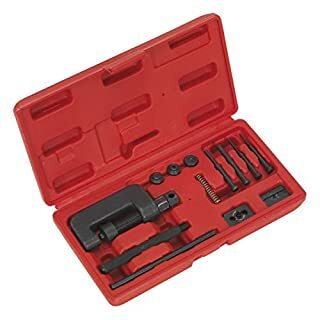 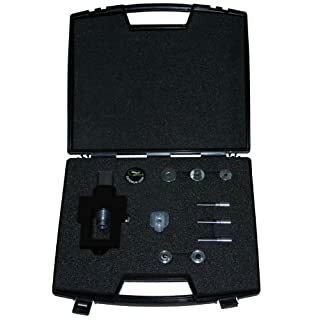 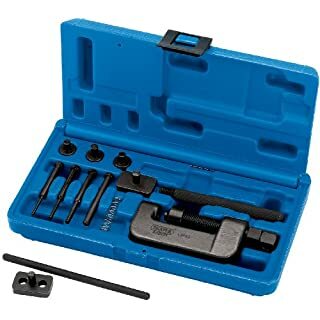 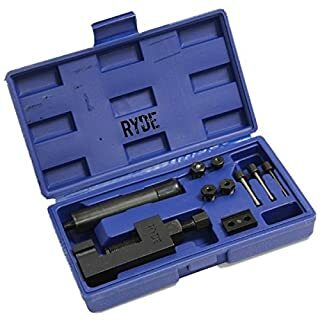 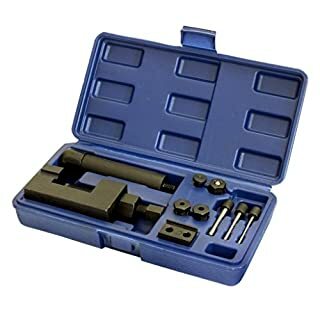 This heavy duty version tool will break, assemble and rivet motorcycle chains for sizes 520, 525, 530 and 532.Correct tool for O and X ring chains Note! 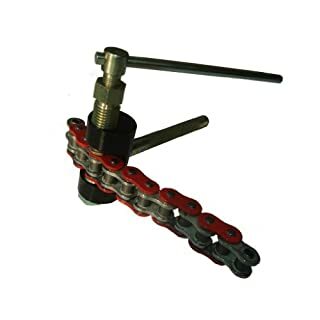 Some Heavy Duty Chains May Require The Heads Of The Rivets To Be Ground Off To Aid Breaking.